The Vibramate Super Grip is custom made specifically to fit the arm of your Bigsby vibrato The textured design adds contour to the overall grip and a soft comfortable feel for subtle vibrato techniques. The Vibramate Super Grip easily slides onto your existing Bigsby vibrato arm without any modifications or special toolsThe tapered design ensures a snug fit once installed but can be removed just as easily by sliding it back off. One size fits all - Vibramate Super Grip fits all Bigsby vibratos using the standard stock flat arm including Import and Left-Hand models. Made in USA. The tapered design ensures a snug fit once installed but can be removed just as easily by sliding it back off. One size fits all - Vibramate Super Grip fits all Bigsby vibratos using the standard stock flat arm including Import and Left-Hand models. Made in USA. 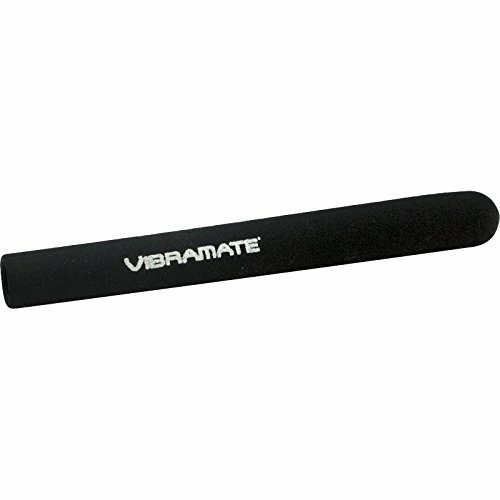 If you have any questions about this product by Vibramate, contact us by completing and submitting the form below. If you are looking for a specif part number, please include it with your message.